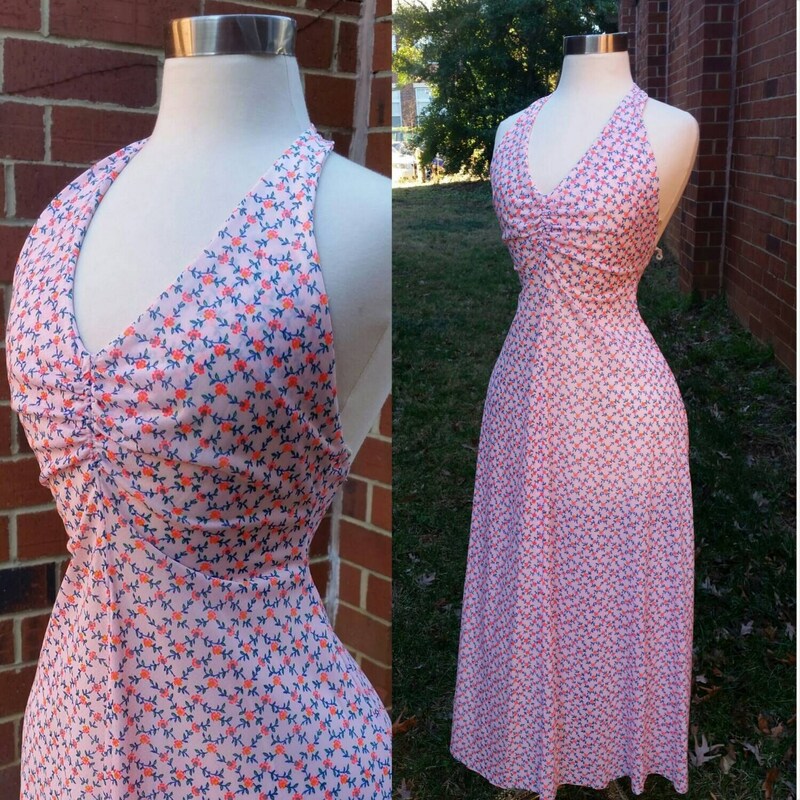 Vintage 1970s pink and blue floral halter dress. V-neck, flattering ruching at the bust. Buttons on the halter straps make for an adjustable fit. Hidden zipper up the center back. Straps on the inside so it can easily hang in the closet. Bust 32", Waist 28", Hip 44"